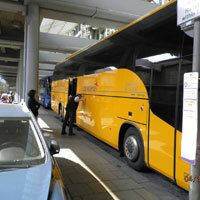 The REGIOJET and Eurolines buses stop at Victoria Coach Station. It is located next to the London Victoria train station. Yellow buses REGIOJET stop on the street Bulleid Way, which passes through the Victoria Green Line Station. The stop is not signposted REGIO JET. 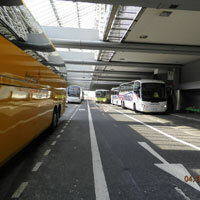 Yellow buses stop in strips on both sides of the street on currently vacant spots. 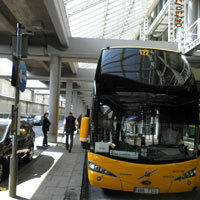 The bus stop is easily accessible from several directions – see the plan. 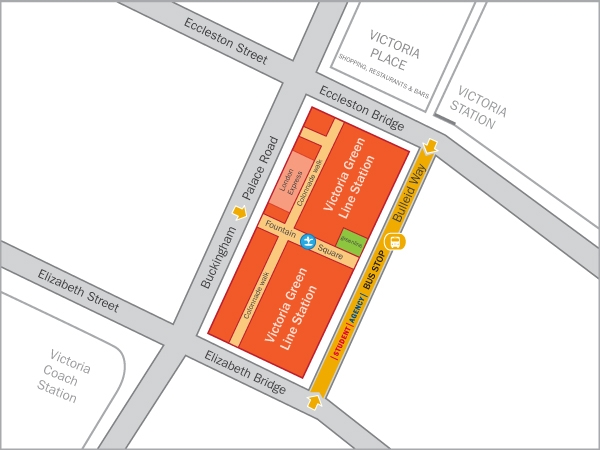 from the street Eccleston Bridge – go directly to the street Bulleid Way, which passes through the bus station Victoria Green Line Station. On the street Eccleston Bridge coach of the Victoria Green Line Station building departs. from the street Elizabeth Bridge – go directly to the street Bulleid Way, which passes through the bus station Victoria Green Line Station. From the street, Elizabeth Bridge bus arrives from the Victoria Green Line Station building.